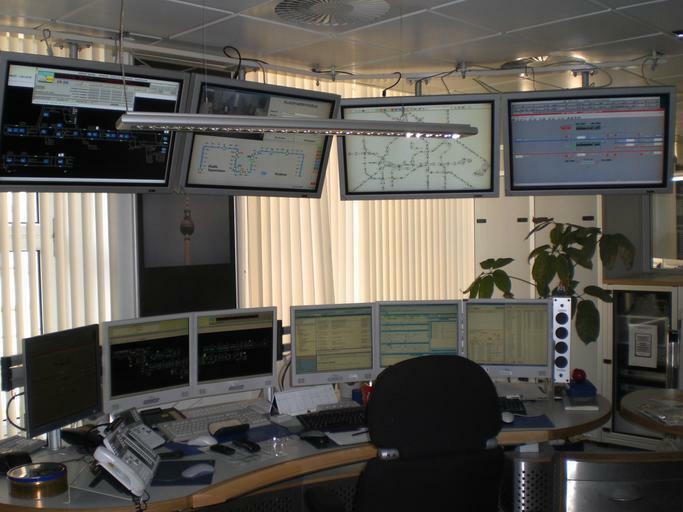 Although control rooms have been in use since the 1920s in the case of industrial facilities, contemporary versions are much more sophisticated; they are ensembles packed with electronic devices and sophisticated operation panels that require constant supervision. Thus, a major aspect to consider when designing such a vital space is to allow perfect visibility over the control displays. Furthermore, the human component is also vital; operators should feel and move at ease within the control room, in order to run the facility efficiently. 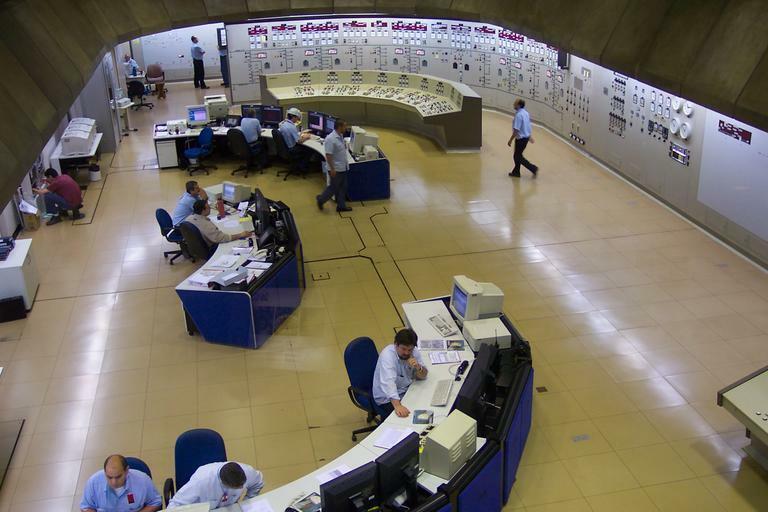 There are various industries and locations in which control rooms are currently employed: power plants, security units, transportation facilities, call centers etc., and, depending on their particular characteristics and needs, the room’s design might vary. However, safety, comfort and effectiveness will always be key elements that require addressing. Also, the importance of this field is underlined by the existence of international standards that regulate the layout and dimensions of a control workstation, i.e. ISO 11064-2013 ‘Ergonomic design of control centers’, which are consistently updated by the International Organization for Standardization (ISO). 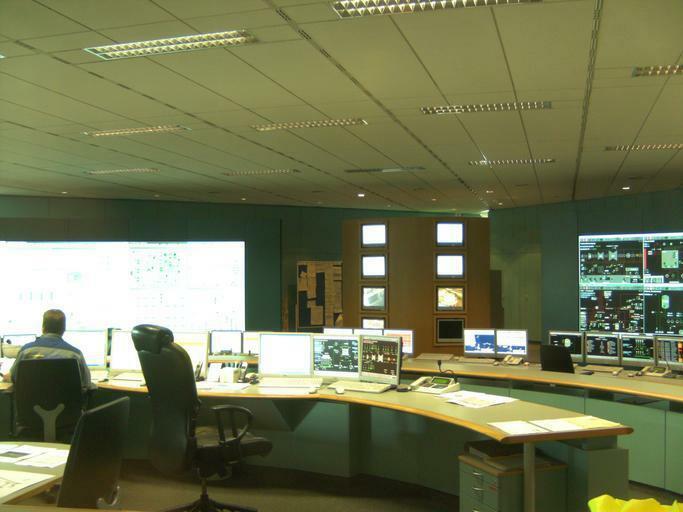 How does control room design work? 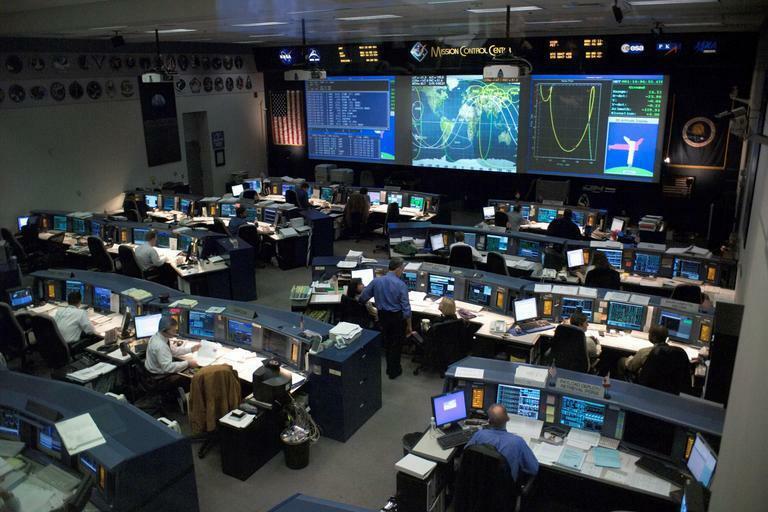 Each and every facility that is operated via a command center is unique; as a result, the process of designing a control room should be tailored according to the particular characteristics of the targeted place. Experienced control room planners apply a comprehensive approach composed of six standardized steps – Define, Measure, Analyze, Improve, Control (abbreviated DMAIC) – that enables them to acquire a thorough understanding of the facility itself. Defining the specific characteristics of the operations conducted within a command center means running extensive staff discussions and studying the configuration of the facility, its work flow, number of operators, and necessary work conditions during both normal and critical situations. Important aspects such as safety, comfort and functionality are also taken into account when formulating design needs and expectations. The measuring phase involves a meticulous on-site observation of the available space and construction plans; if the targeted facility already has a control room in need of upgrading, then existing layouts, corridors, furniture, operation panels, etc. should also be assessed, in order to identify current problems and propose improvements. During the analysis stage, the control room designer compiles the data collected during the previous two phases and comes up with a list of solutions for effective operation management. Each solution has to be supported with evidence and proper explanations, so that the beneficiary can grasp the improvements deriving from the changes to be made. This is also the time when the designing team decides whether existing operation centers might need limited physical and/or technical adjustments or a complete overhaul. The next phase is the improvement one, when the solutions are presented to and analyzed by the command center personnel and decision-makers of the facility. The discussions taking place at this stage are very important, because all adjustments or amendments to the proposed solutions should be made during the planning procedure. The staff that is directly involved in running the control room is able to offer invaluable insights regarding the correction of the initial plan. Lastly, the control stage is when the final layout has been drawn up and submitted to the facility; it should include complete instructions regarding dimensions, type of materials to be used, placement of all furniture and technical items, and so on, as well as a detailed 3D-rendered version of how the control room will finally look like and be used. When all the stakeholders have validated the design, it is time to implement it. Current trends in the control room furniture industry are employee-centered, because the human factor is ultimately the one that makes a difference by interacting with the machines. Thus, specialized furniture is designed to meet the needs of command personnel, in order to ensure a pleasant atmosphere at work and increase efficiency and quality of services. 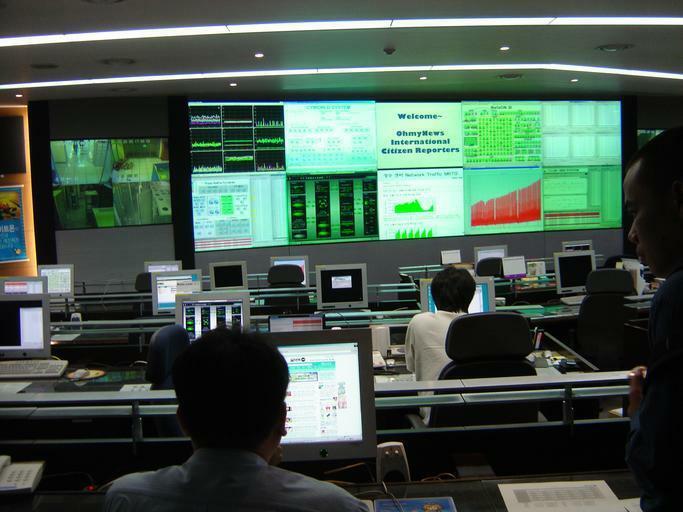 The concept ‘control room furniture’ refers to items such as control room consoles and chairs, but it is not limited to them; in fact, everything from the color and texture of the desks, to light fixtures, flooring and air quality is taken into consideration, the intention being to create an optimal work space within the operations unit. The term 'ergonomics' is often used to refer to this ideal functional design. The fact that there is a whole science behind control room furniture planning is highlighted by the definition that the International Ergonomics Association gives to this field: 'Ergonomics is the scientific discipline concerned with the understanding of interactions among humans and other elements of a system, and the profession that applies theory, principles, data and methods to design in order to optimize human well-being and overall system performance.' Consequently, health, safety and productivity of employees are the proper targets of command center furniture design. Moreover, the furniture built for this segment has to withstand stressful working conditions that span over a 24/7 interval. Specialized manufacturers offer consistent warranty periods and often ensure useful maintenance services in a timely manner. Control consoles have to be accurately adapted to the requirements of the operators and room configuration. Their placement within the available area will vary depending on the number of desks needed, the aisle width and orientation towards the main monitors. Also, command consoles should come in versatile units, allowing the positioning of various auxiliaries such as monitor arms and mounts, device holders, shelves, pull-out trays, power elements and so on. Console furniture has to enable the operator to have immediate visual access towards the screens mounted in the proximity and on distant walls at the same time, without its eyesight being hindered. Moreover, workers have to feel comfortable when using the desks regardless of their height, so console adjustability is very important. Such furniture pieces should also favor good counter management, as they will have to accommodate various peripherals (telephones, microphones, intercom units, mice) and work aids (maps, guides, files). Today's technologies often involve a huge amount of wires; therefore, wire management solutions are another feature worth-having in a console desk. Depending on the facility dynamics, a control room should always allow the reconfiguration of the place; as a result, console furniture has to come in modules that easily permit their expansion or reduction. Aesthetics play an important part as well when it comes to design solutions; for instance, pleasing finishes and rounded edges will create a soothing work environment. The surface of the console desk has to be matte and contain neutral pigments that impede glare, thus protecting the workers’ eyes. 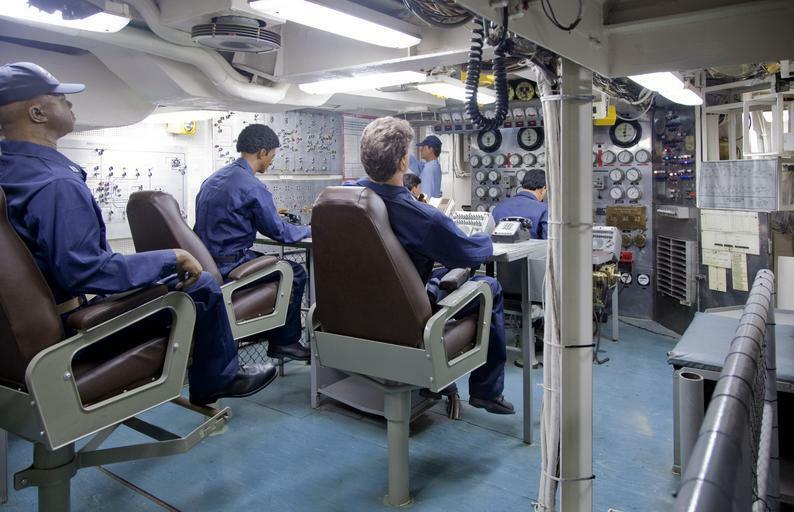 The chairs used in a control room are the essential furniture elements that bear the operators’ weight while making important decisions; consequently, specialized seats designed to take care of the personnel’s well-being and correct working position are a must. The suitable control room chairs have to be made of high-quality materials that can endure permanent utilization and can adapt to different operators’ physical characteristics (i.e. height and weight); they should feel comfortable in order to prevent fatigue and back pain, encouraging focus and productivity. Structurally, these control room furniture elements should include the possibility of precise height, tilt and tension adjustment, lumbar protections, sturdy and adaptable arm rests and backrests. During the last years, control room flooring has been a segment under constant improvement, as more and more ergonomic and safety standards have been imposed to operations center design. Nowadays, industrial flooring products employed in control rooms should be made of state-of-the-art materials that protect against electrostatic dissipation, due to the increased amounts of electronic and telecom gadgets found in such a hardworking space. Moreover, it has to repel dust, prevent accidental slips and foster a healthy work area, while also resisting to heavy traffic, abrasion and stains. Complying with fire safety regulations and containing no damaging compounds that could affect the workers’ health or the indoor air quality, are additional key features to be met. The constant need for flexibility and wire management in hi-tech command centers can be overcome by installing raised floors that allow the cable networks to be hidden under the consoles. This flooring solution enables quick technical adjustments when needed, without affecting the proper usage of the control room. As all employees operating a control room rely mostly on their visual perception, effective lighting has to do with providing a comfortable amount of light, at the right angles and from corrects sources, in order to achieve a healthy work environment. Research shows that, in a command center, natural light should always come from north-oriented windows, in order to reduce glare and light variations resulting from weather changes. In the case of artificial lighting, its amount will be decided by the various tasks that need to be performed in a certain facility. The workers' eyesight should not be hindered by the contrast between the monitor and ambient light, and additional lighting options should always be available in the case of paper-based tasks. Because ceiling fixtures are not always precise, control room consoles have to be supplied with independent lighting, in order to finely-tune the level of illumination for each worker and situation; in times of regular monitoring or normal operation, the perfect lighting level is between 150-350 lux (The lux being the measuring unit for luminous emittance, according to the International System of Units). Also, all staff members, regardless of their age, should feel comfortable with conducting all their activities under the control room lighting scheme. 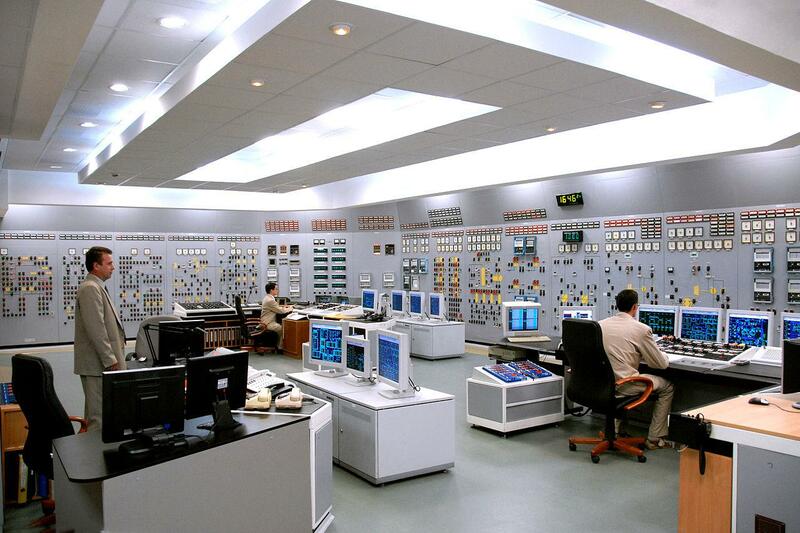 Nuclear power plants are also operated through a control room, just like many other types of power stations. The layout of such a room varies, depending on the capability of the entire facility, the available action strategies and the constructor’s experience, guided by existing international standards. Nevertheless, the design includes centralized units of vertical control displays and operating consoles that enable the operators to constantly supervise all the processes and act accordingly. Alarm indicators are usually placed on the upper boards, for increased visibility, to trigger an immediate response, meanwhile switches are found at a hand’s reach, on the desk, in order to be easily manipulated during critical events. Visual display units are key in such a room, therefore, in the case of tilted screens, a 35° viewing angle is the maximum allowed for comfortable eye movement and proper discernibility. Also, the use of large, high-density screens is mandatory, to ensure a high-quality interface between man and the machines; they display a large amount of information in a compact manner, fostering the workers’ attention. 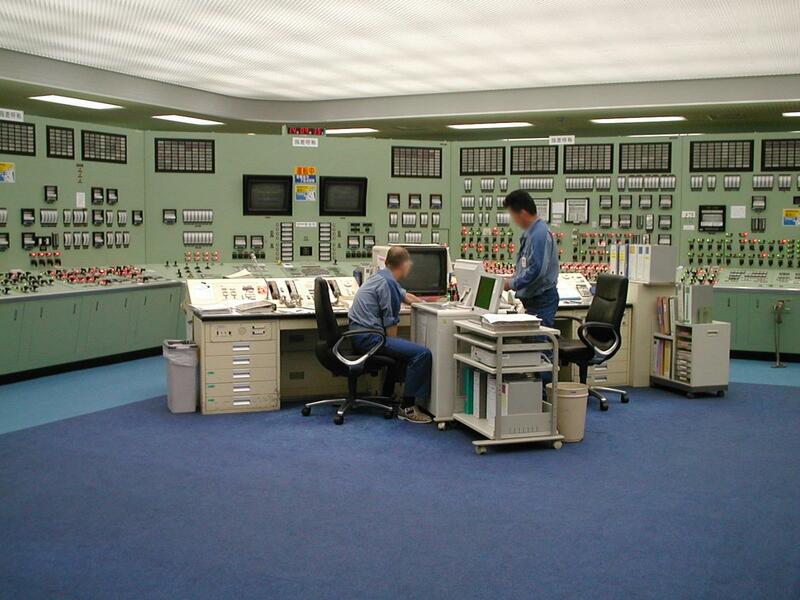 More modern power plant control room designs employ modular segments, divided according to specific systems within the control room: a main-control workstation, electrical systems, auxiliary systems, etc. Each work unit is operated by seated workers specialized in the precise area that they supervise. This plan has proved to be more effective in times of malfunction or partial shut-down of a nuclear plant. To conclude, designing a control room is a complex process requiring vast experience and precise knowledge of the key elements that influence the work conditions within a specific facility.